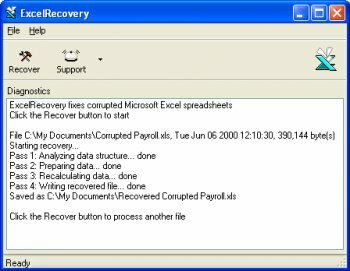 ExcelRecovery software fixes corrupted Microsoft Excel spreadsheet files. Supports all modern file versions, including Excel XP, 2000, 97, 95, and 5.0. Recovers text and numbers as well as formulas. Restores formatting, structure of multi-sheet files, and more.